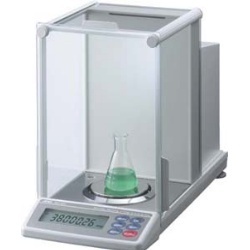 A&D Phoenix series analytical balances with internal calibration economically provide high-end features and performance. These analytical balances provide advanced resolution, are easy to use and calibrate, and adjust their settings based on environmental changes. Weighing is at the heart of many laboratory processes and the Phoenix Series offers the features, performance and standard accessories to bring real convenience to your lab. A&D Weighing Phoenix Series balances with internal calibration economically provide high-end features and performance. These analytical balances provide advanced resolution, are easy to use and calibrate, and adjust their settings based on environmental changes.